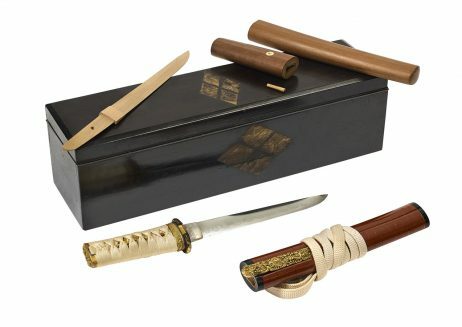 Tanto Shiro Itoodoshi which presents a lacquered wooden Koshira e in byakudan imitating the cherry tree bark. Lacquered wooden Koshira e in byakudan imitating the cherry tree bark. 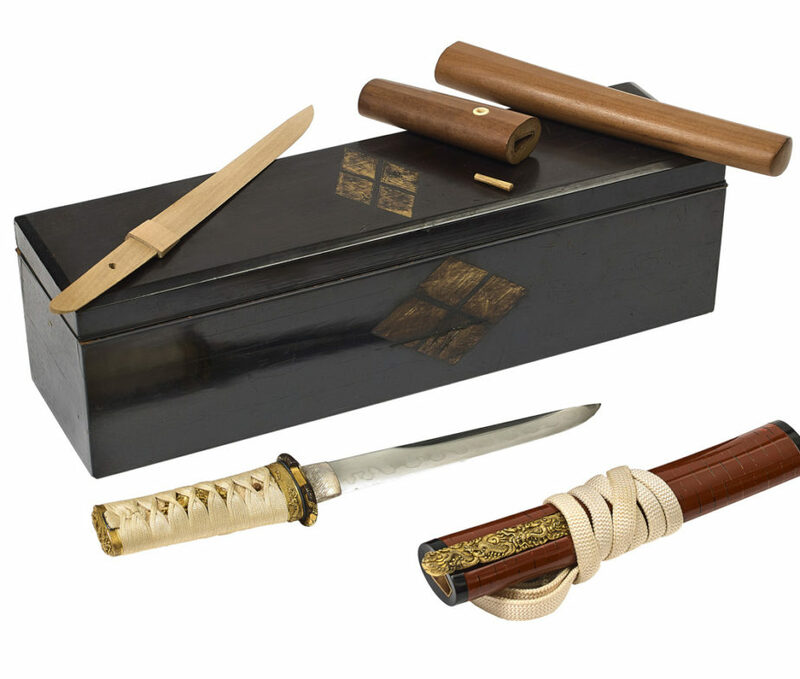 The fuchi kashira, the menuki and the kozuka, matching the sword fittings, are in gilded and chiseled cooper representing a dragon of the air and a dragon of the water. The iron tsuba is ornated with a diamond shaped mon cut into four parts (principal mon of the Hamuro and of the Shimizudani, secondary mon of the Yanagisawa). Signed by Myō ichi Nyudo Kanemitsu.